A simple yet accurate temperature converter. 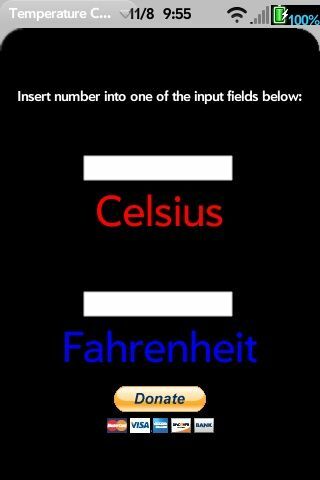 Converts Fahrenheit to Celsius as well as Celsius to Fahrenheit. This is my first app some please provide feedback. Alsso, please Support!! !